The acrylic provided with your frames is a great product but it requires special consideration to keep it well maintained. You can't use ordinary window cleaner to clean your frames. Polish specially formulated for cleaning plastics is required. I offer Novus products, the industry leader in plastic care for use with your frames. Since NOVUS first introduced NOVUS Plastic Polishes in 1973, the number of plastic products has grown tremendously. Yet, as widely used as plastic is, many people are still not sure how to care for it. This includes the Acrylic Glazing that I provide for my frames. Novus products are the best way to care for the acrylic glazing in your frames. 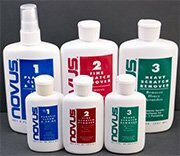 Novus offers three products available for taking care of your acrylic. Novus Plastic Clean & Shine. Gently cleans all plastics without scratching. Leaves a lustrous shine that resists fogging, repels dust, and eliminates static. 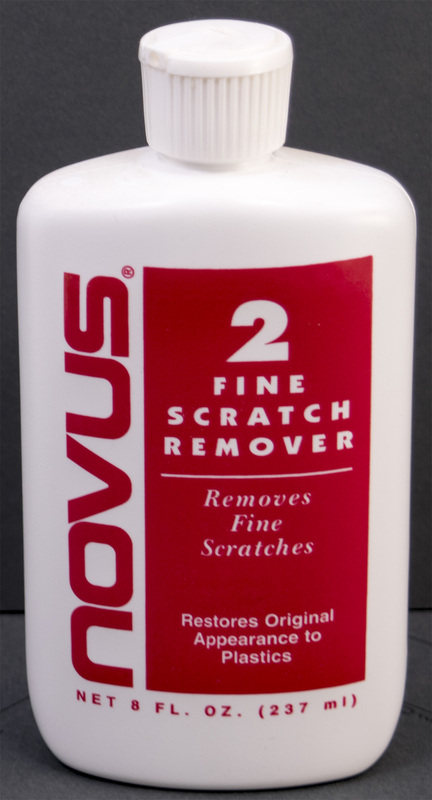 Novus Fine Scratch Remover. Removes fine scratches, haziness and abrasions from most plastics. With repeated use, NOVUS No. 2 restores faded and discolored plastics. 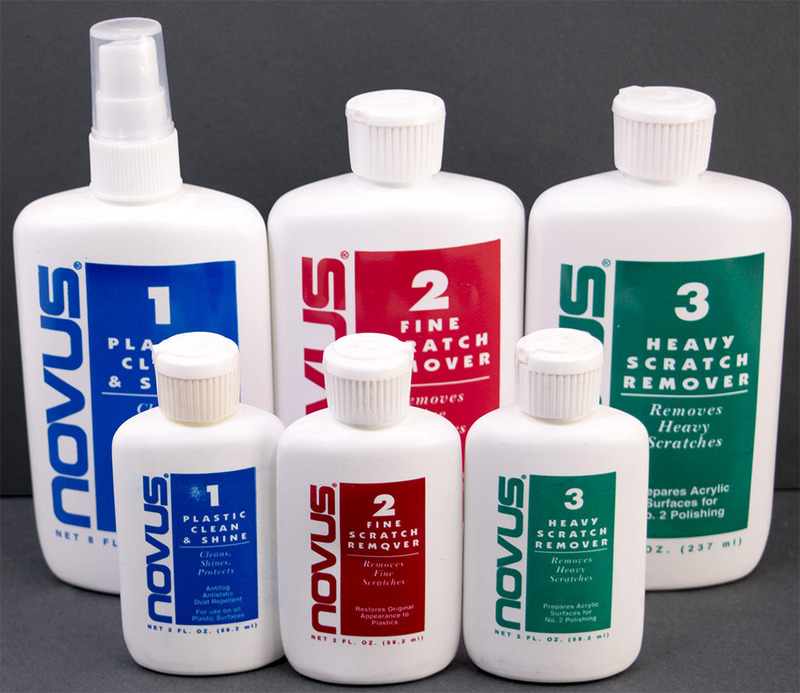 Novus Heavy Scratch Remover. Removes heavy scratches and abrasions from most acrylic surfaces. Use when damage is too severe to be restored with NOVUS No. 2 polish. Novus Polish Mates. The type of polishing cloth you use will make a difference. Ideal cloth is nonabrasive, absorbent, and lint free. To eliminate any chance of scratching, use only disposable cloths. Reusable cloths can retain abrasive particles, but you won't know for sure until the damage is done. The Novus Polish Mate microfilament cloth is perfect for polishing. Highly absorbent, extra durable and abrasion resistant makes this washable cloth the ideal solution. The type of polishing cloth you use will make a difference. 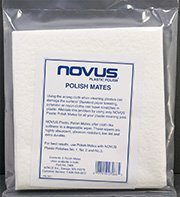 Novus Polish Mates are recommended for use with Novus products. The ideal cloth is nonabrasive, absorbent and lint free. To eliminate any chance of scratching, use only disposable cloths. Reusable cloths can retain abrasive particles, but you won't know for sure until the damage is done. Use a soft cotton cloth (such as a diaper), avoid using polyester or rayon wipes which can scratch unprotected plastics. You can order Novus Cleaning products in my Etsy Store . Novus Plastic Clean & Shine Gently cleans all plastics without scratching. Leaves a lustrous shine that resists fogging, repels dust and eliminates static. Resists finger print marks, contains no abrasives or harsh chemicals and leaves a smooth clean, greaseless shine. Reapply NOVUS No. 1 regularly to maintain the anti-static, smudge and scratch resistant properties. Novus Fine Scratch Remover. Removes fine scratches, haziness and abrasions from most plastics. With related use, Novus No. 2 restores faded and discolored plastics. Removes the damages instead of filling it in. Buffs out quickly. Not recommended for use on coated plastics (not to worry, none of my acrylic is coated). 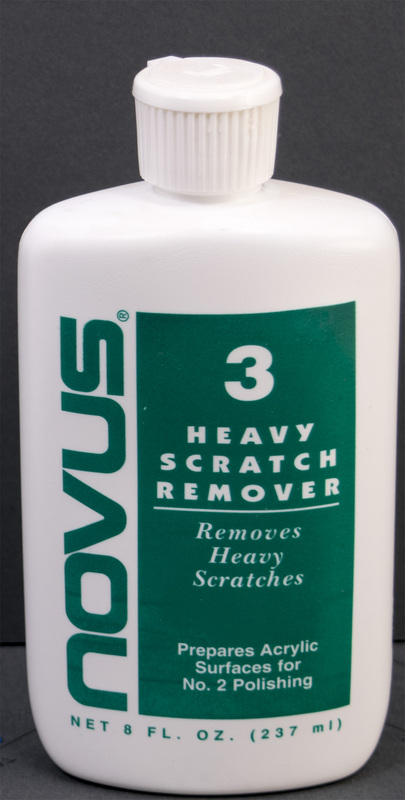 Novus Heavy Scratch Remover. Removes heavy scratches and abrasions from most acrylic surfaces. Use when damage is too sever to be restore with Novus No. 2 polish. Requires us of Novus No. 2 for final finishing. Not recommended for use on coated plastics (not to worry, none of my acrylic is coated). Before attempting to clean or remove scratches, always make sure the plastic is cool to the touch. Use a liberal amount plastic cleaner to safely remove surface dust and dirt. In addition test scratch removers in a small, inconspicuous area for compatibility. Some plastics (not mine) are coated with a thin film which may be damaged by the abrasives in the polish. Novus No. 2 and No. 3 are not recommended for use on eyeglass lenses. For best results, use Novus Polish Mates or a clean Microfiber cloth. The ideal cloth is nonabrasive, absorbent, lint free and disposable. (Reusable cloths can retain abrasive particles and cause damage.) Avoid using polyester or rayon wipes. 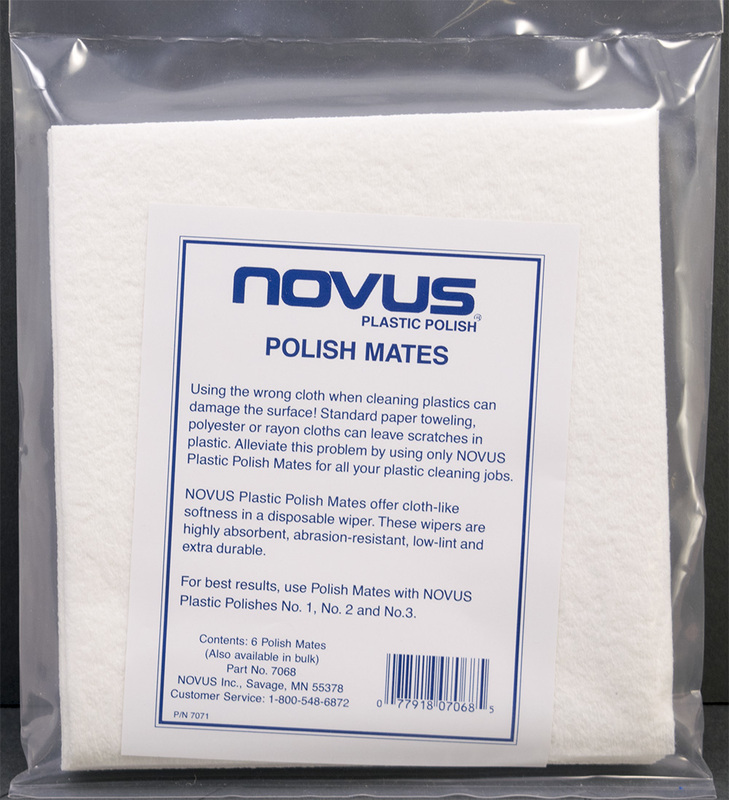 If Novus Polish Mates are not available, use a soft cloth, such as a cloth diaper or a clean Microfiber Cloth. If the damage is fairly large or badly damaged, a power buffer may be used with Novus No. 2 and No. 3. Use a clean wool or cotton bonnet and operate the buffer at low speed, approximately 1000 ROM, to avoid overheating the plastic. Each polish should be applied with a separated, clean bonnet.